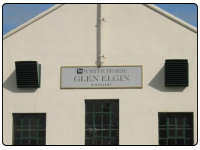 Glen Elgin Scotch Whisky Distillery was built in 1898 by William Simpson and is still producing today with the bottles Glen Elgin 12 Year Old Single Malt whisky. This distillery is right in the heart of the Speyside region of Scotland is is location on the edge of the Royal Burgh of Elgin. In the 1930 this distillery was bought by a Scottish Malt Distillers who were famous for the White Horse Blended whisky. Of course after this date one of the main malts that were included in this blend was from this Speyside distillery. The contact details are Glen Elgin Distillery, Longmor, Elgin, Morayshire, IV30 3SL and the telephone number being +44 (0)1343 860212. There is no visitor centre.